The Torch 250 Power Hub and Flashlight is the most versatile, reliable source of power and light for any situation. 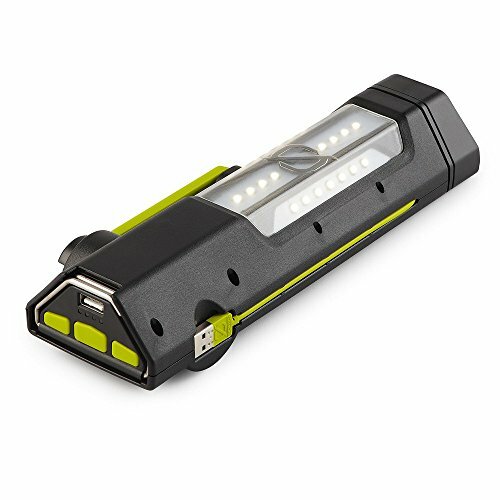 Boasting a powerful, 4,400 mAh lithium battery, 250 total lumen output, a 1.5A USB port to charge your gear, as well as a built-in solar panel and hand crank, this multi-function flashlight is the only piece of gear you'll need in an emergency. Built-in USB charging cable, solar panel and hand crank for bright light anywhere. Red light for emergencies, USB port to charge your phone. If you have any questions about this product by Goal Zero, contact us by completing and submitting the form below. If you are looking for a specif part number, please include it with your message.